Infrared scanner is a kind of thermal imager, it can collect the infrared radiation and cast the radiation on the infrared detector to form a infrared image signal with its scanning mirror. We can use the signals to modulate the light sources and record them on the sensitive films to constitute an infrared thermal camera. We can also use this kind of signals to modulate the video channels and transmit them back to the ground reciving stations through the data transmission system. Infrared scanner is a kind of onboard passive detection device, the biggest advantage of it is that it can detect the objects's natural infrared radiation without the ambient light. Hence, it can be used in night surveillance and reconnaissance, it has good concealment, and it can also avoid the deception of the general camouflage that can be discoverd by the naked tyes automatically. Forward looking infrared radar ( FLIR ) is also called thermal imager ( TI ), it is a kind of infrared imaging detector that can image the scenery by infrared radiation on the infrared sensitive components through the optical system and then transmit the images into video electrical signals. Generally, forward looking infrared radar has pretty high spatial resolution, it can distinguish every detail of the scenery and reflect the thermal characteristics of the scenery. It can detect the thermal characteristics of the scenery without the ambient light ( including red light ). Hence, forward looking infrared radar is a kind of night passive detection devices that can affect in the completely dark environment and aviod the deception of the camouflage that can be discovered by the naked eyes and fake objectives, it is irreplaceable. 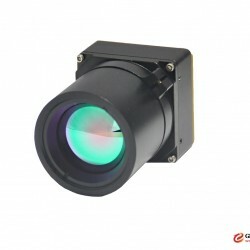 It is widely used in night imagery intelligence detection.